In this Jan. 29, 2019, file photo, Florida Gov. 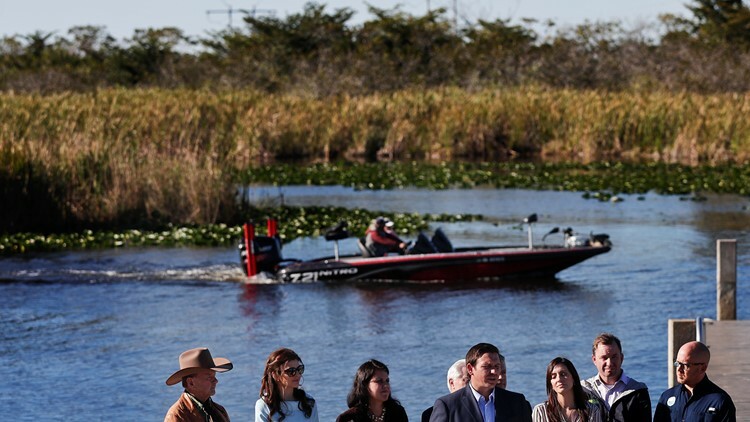 Ron DeSantis speaks about his environmental budget at the Everglades Holiday Park during a new conference in Fort Lauderdale, Fla. A federal judge on Monday, Feb. 11, refused to end a decades-old court order that oversees water quality and environmental restoration in the sensitive Florida Everglades. The decree arose out of a 1988 lawsuit claiming high phosphorous discharges were threatening the long-term future of the Everglades.